I’m referring to Jonathan “the Best” Davis. Jonny figured prominently in the 4 February 2008 Boxing Confidential article “Jonathan Davis: His Integrity Would've Lit Up Diogenes And His Famous Lamp!” when he upheld fairness, according to his judgment, in picking Vic Darchinyan over Z Gorres in the IBF elimination fight held early this year in Cebu City. Had Jonny’s judgment been influenced by a fighter’s race, Z Gorres would have won the fight by majority decision instead of the split draw result. One of the two foreigner judges had Gorres winning while the other scored the fight even. Gorres then could have fought for and won the IBF 115-lb title from defending champion Dimitri Kirilov whom Darchinyan easily knocked out, after repeatedly scoring knockdowns in the fight, in wresting the title. Jonny received severe criticisms and negative comments but he was consoled by the assurance from the Gorres management that they respected Jonny’s judgment as he saw the fight. Jonny has since transferred residence to Anaheim, Orange County. CA, USA to join his family. Having established his reputation as a fair judge, the IBF in no time assigned Jonny to judge in the November 29 card in Toluca, Mexico headlined by Jorge Arce’s brother, Francisco "Panchito" Arce. Last December 13, Jonny was again assigned as one of the judges in the Raul Garcia vs. Jose Varela - IBF Mini Flyweight Championship fight. Raul Garcia won the title from Filipino Florante Condes. While Carlos Padilla was the first Filipino boxing referee to make good in the US and nearby areas, to this writer’s knowledge, Jonny is the first US based Filipino judge. Rey Danseco judged Juanito Rubillar’s recent two fights in Mexico but he is still Philippine based. Jonny wrote that he will continue to be fair in judging fights and it would be less difficult to do so after surmounting his toughest judging test in the Gorres-Darchinyan fight which involved a Filipino. Philippine boxing should be proud to have Jonny in the US. Jonny is export quality. His foreigner sounding surname, Davis, sounds to this writer as “the Best”. Jonny, you’re “Davis”. 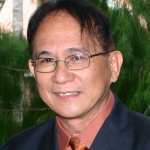 Click here to view a list of other articles written by Epifanio M. Almeda.